A small village 5 miles east of Thurso, near Scotland's far north coast; once famous for it's flagstones. Castlehill flagstones found use in places as far afield as South America and Australia. 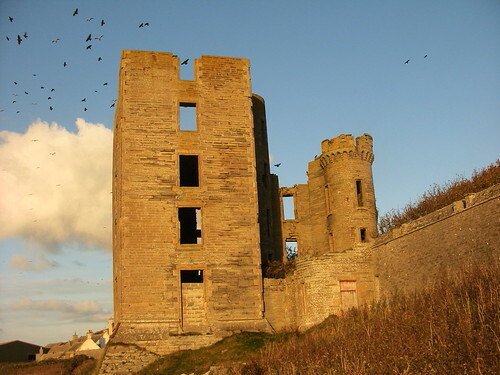 Castletown lies a short distance inland from the southern corner of Dunnet Bay, five miles east of Thurso. Dunnet Bay faces north west and is protected to the north by the bulk of Dunnet Head. The bay's south eastern side is bounded by a beautiful two mile long beach backed by high dunes. The southern end of the beach expires at the mouth of a stream, once used to power the huge, but now ruinous, Castletown Mill. With a hotel, grocery and butchers the village can cater for all your needs and if you feel like a night off from cooking you can visit the fish and chip shop on your way home. The village’s past can be discovered at the Flagstone Heritage Trail and the Castlehill Heritage Centre. Nearby Thurso is the most northerly town in mainland Scotland and also boasts the country's most northerly railway station! Thurso benefits from a pretty seafront location and from here you can see the remains of Thurso Castle. The Caithness Horizons museum is housed in the old Town Hall and is worth a visit.